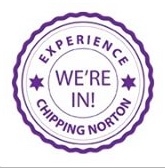 Chipping Norton Literary Festival – commonly known as ChipLitFest – starts today. Now in its third year, the festival has grown rapidly, and has received positive reviews across the local and national media. This year features a diverse list of authors, from former BBC reporter Kate Adie to former athlete and record breaker Roger Bannister. It takes place across various venues in Chippy between today and 26 April – starting with children’s author Lauren Child (creator of Charlie and Lola), who is appearing at The Theatre at 5pm today. So good luck to the organisers and the many authors appearing over the weekend – and if you’re attending an event, do let us know what you went to, and what you thought of it… or share your photos of the festival with us on our Facebook page or via Twitter! 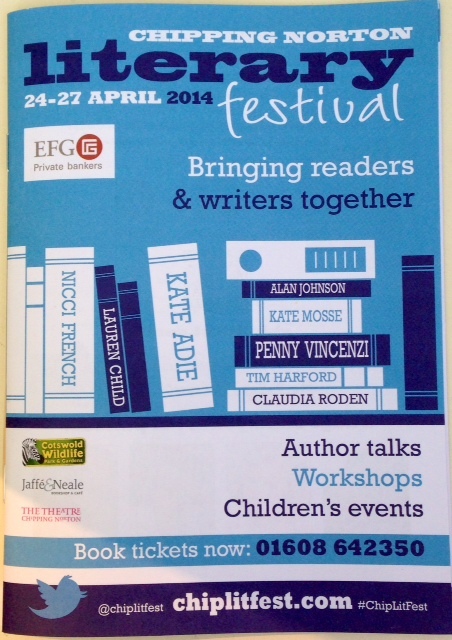 This entry was posted in launches, news and tagged ChipLitFest, Chipping Norton Literary Festival, festival, Kate Adie, Lauren Child, literature. Bookmark the permalink.